The Grand Forks Herald is a regional newspaper and information company serving a 14-county area in northeastern North Dakota and northwestern Minnesota that has been providing information to its readers for 129 years. The Loudoun Independent is a free community newspaper delivered by mail to homes in Loudoun County, Virginia. Verified has created a new online audit evaluation survey that will give you the opportunity to give us feedback on our procedures, service and staff. Your comments and ideas will help us serve you better. 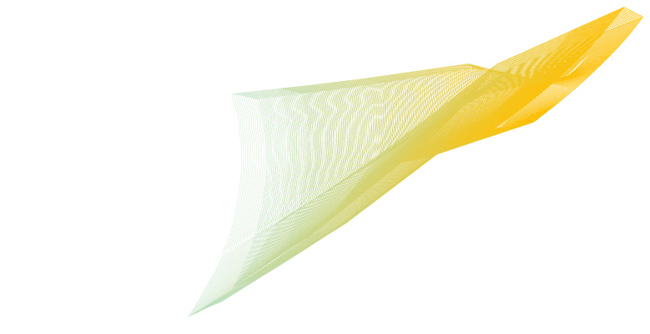 Shortly following the audit, you'll receive an email with a link to our new survey. Please take a few moments to take the survey, which should take no more than 5 minutes of your time. The information you provide is invaluable and we truly appreciate your help. If you have any questions, please call Verified at 415-461-6006. More than 48% of U.S. adults believe that a lack of advertising by a store, bank or auto dealer during a recession indicates that the business is likely struggling, according to a study from Ad-ology Research. Conversely, a majority of consumers think businesses that continue to advertise are competitive and/or committed to doing business. The research study "Advertising's Impact in a Soft Economy," which was undertaken to determine whether stopping advertising during the recession could harm a business, takes an in-depth look at specific consumer perceptions regarding businesses that continue to advertise in the current economy, as well as those that do not. Advertising appears to play a key role in a consumer's view of how a business is doing, the study found. By not advertising, businesses may be sending a warning signal to current and potential customers, the Ad-ology survey said. For example, when consumers no longer see/hear advertising from an auto dealer during a down economy, 50% say they view the dealership as struggling. However, when dealers continue to advertise, 34% of consumers feel that they are committed to doing business. "It's critical to advertise in the current economic climate, to maintain long-term positive consumer perception of your brand," said C. Lee Smith, president and CEO of Ad-ology Research. Maintaining brand image or identity in the consumer's mind is an important area of ongoing brand marketing, regardless of the economic climate. If this isn't kept fresh and strong, a lot of time and adverting dollars will have been wasted. A circulation audit can seem like a daunting task when you have so many other duties to handle on a daily basis. Use these three keys to a successful audit to keep you on track and help make the process less overwhelming. Keep your audit materials in folders, binders or boxes throughout the year. Have a system in place that you find practical so you'll be more likely to stick with it. Don't wait until the day before the audit to try to locate your audit documents! Many people organize by issue. They put all documents related to a single issue—print invoices, route lists, postal documents, etc.—in a single folder. Other people find it easier to organize by category—printing invoices with the cancelled check stapled to them—in one binder section. An audit is based on a comparison between circulation figures reported to Verified and the materials presented during the audit. The more accurate the reporting, the better your overall performance. Take time when reporting to Verified to make sure you are accurately reporting your circulation figures. Check formulas for errors, look for anomalies and confirm that invoices from vendors are correct. It may be helpful to have someone else proofread your work prior to submitting it to Verified. When the auditor arrives, be sure that all the materials requested in advance of the audit are ready, the Quarterly Printing and Distribution reports (QPD) are completed, and the Circulation Analysis by ZIP/Postal Code is prepared. When the auditor has to wait for you to find documents or complete the QPD, it wastes time and can obstruct the audit. If you are submitting your audit materials directly to Verified, be sure to meet the material deadlines and that all materials are included. Missed deadlines can mean delayed audits and late reports. We realize that the circulation audit is generally only one of your many responsibilities. However, if you put aside time to focus on the audit on a regular basis, the effort will be rewarded with a more efficient audit. According to American Business Media's 2009 Media Financial Survey, B2B media company revenue declined 2.2% in 2008 versus 2007, but revenue growth in online, live events and data products helped offset declines in revenue for magazines. B2B media company profitability contribution (revenue less operating expenses) declined 7.8% in 2008 versus 2007. Of the six key B2B media company revenue categories (Magazines, Custom Publishing, Data, Online, Tradeshows and Conferences), Online revenue showed the strongest growth, increasing 15.1% in 2008, and rising at a compound annual growth rate (CAGR) of 26.8% from 2006. Magazines were the weakest performers, showing an 8.4% decrease in 2008 and a decline of 3.9% on a CAGR basis over the three-year period. Online display and search advertising gained 12.4% in 2008, while magazine net ad revenue declined 10.2% in 2008 and fell at a CAGR of 4.9% over the three-year period. Tradeshows grew 4.3% in 2008. Data and conferences also showed robust revenue growth, increasing 7.0% and 9.9%, respectively, in 2008, though custom publishing remained relatively flat in 2008 and across the three-year period. 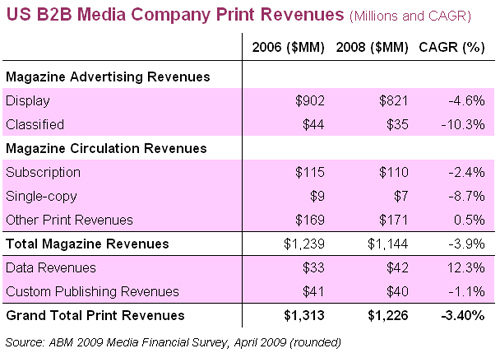 Except for magazines, all major B2B media company revenue categories increased on a contribution basis in 2008 and across the three-year period of 2006 to 2008. Key magazine operating costs, including Ad Sales, Editorial and Production, have not declined in line with revenue and, therefore, have negatively affected magazine contribution, which decreased 26.8% in 2008. 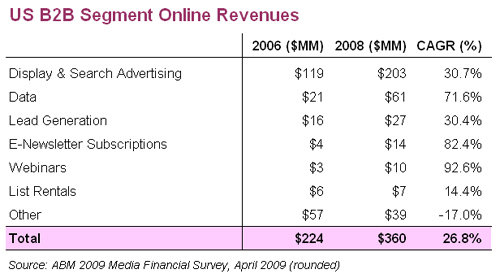 In Q4 2008 vs. Q4 2007, B2B media companies showed relatively flat revenue, while advertising dollars continued shifting from print vehicles to online outlets. Magazine net ad revenue declined 15.7% in Q4 2008, while online display and search advertising revenue grew 28.3% quarter-over-quarter. Tradeshows were hurt by declines in exhibit space sales and attendee revenue. Gary Fitzgerald, CEO of Meister Media Worldwide and chairman of the ABM, said, "It's a time of great opportunity." While the first step was to understand how offline ads drive online traffic, the next phase will focus on conversion rates. The study will analyze the number of clicks generated by each participating website. Dinan thought the numbers would have been around 10%, rather than closer to 50%. 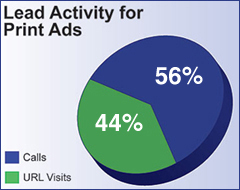 During the timing evaluated, the ads that used unique URLs—for example, florists2.com—were more often visited than client-specific domains with URL extensions such as publisher.com/florists. Association subscriptions are defined as subscriptions included as a benefit of membership to an association, organization or society. Association subscriptions can be divided into deductible or non-deductible types. Deductible subscriptions give the members the option of accepting or refusing the publication. If they refuse the subscription, their membership dues are reduced by the amount assigned as the value of the subscription (no less than $.01). Non-deductible subscriptions do not give the members the option to refuse the subscription with membership. In this case, the member's dues remain the same whether they accept or refuse the publication. The publication must collect no less than $.01 for each subscription. The member must be informed that the publication subscription is included as a benefit of membership and the value assigned to the subscription. The portion of annual membership fees allocated to the subscription must be clearly stated on every invoice or renewal notice. The member must be able to refuse the subscription with membership and get a reduction in membership dues. If you have any questions regarding association subscriptions, please contact Verified, at 415-461-6006.